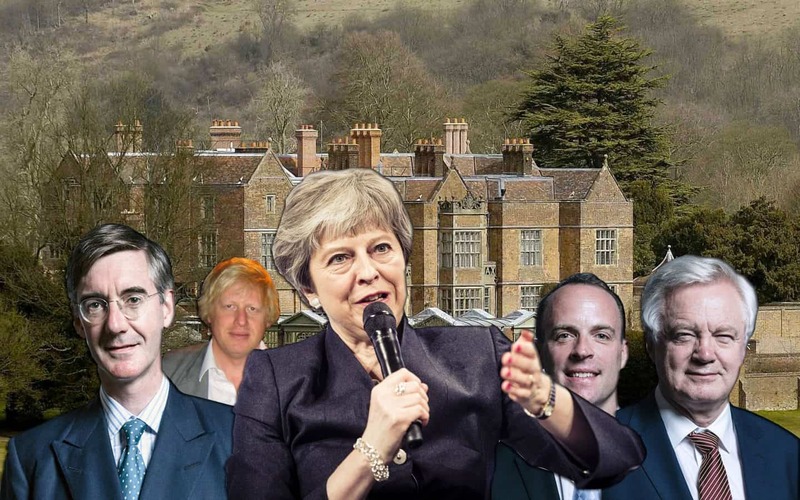 Of all the painful pictures to have adorned the front pages of the British press since Brexit few encapsulated the unfortunate state we find ourselves in as much as 13 white, privileged males driving into Chequers to orchestrate a supposed coup of the lone woman left in charge of administering this broken mess. Far from being an admirer of the Prime Minister, it was impossible to ignore the challenge she and indeed the country face as Ian Duncan Smith revved his flashy sports car through the gates and Boris Johnson, Jacob Rees-Mogg and others followed shortly behind in their Sunday best. These are the people who orchestrated Brexit. They knew there would be consequences and yet they also knew they would be the most guarded from its adverse effects. Some, or indeed most, may even benefit from the trail of destruction it has left. As Joe Media founder Niall McGarry posted on Twitter yesterday, “in a recession induced by a No Deal Brexit, the privileged will benefit. Buildings become cheaper to buy, labour becomes cheaper to hire, Sterling becomes easier to acquire, so while the ERG pretend that Britain will do better, their mates might, the poor will be crushed further.” And therein lies the tragedy. Yet far from orchestrating a government coup, yesterday proved that the country as a whole has been taken at the hands of white, privileged males. As political commentator Jane Merrick said: “No offence but stick 14 women around the table and Brexit would be sorted by sunset”. And it’s hard to disagree. As it is, testosterone-induced in-fighting will likely lead Britain to a no-deal and ultimately drive us off the cliff. We really should be sacking the hardline Brexiteers, not the lone woman trying to keep them in check.